The effects of leprosy can last for a very long time. Sabita is nearly 70. She caught leprosy as a teenager. When she was diagnosed her parents threw her out of home. Her son abandoned her as soon as he was old enough. She is homeless and lives on the streets, more than 50 years after she was first told she had leprosy. Her hands have been reduced to stumps and every week fresh wounds need to be cleaned and dressed. Sabita has needed care and support for over half a century. Other people being diagnosed today may need care for decades to come. By making a regular gift to help people affected by leprosy, you can reach even more people like Sabita. 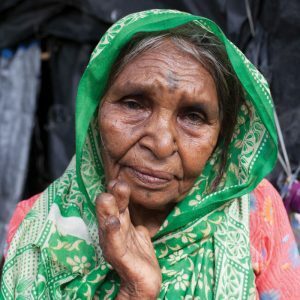 You can give regularly by Direct Debit or Credit Card to provide the long term care that people like Sabita so desperately need.